The countdown is on to the 53rd ArcelorMittal Dofasco Vanier Cup as U SPORTS marks 100 days on Thursday until Canada's national university football championship. The 2017 ArcelorMittal Dofasco Vanier Cup returns Nov. 25 to Tim Hortons Field in Hamilton, Ont.- home of the Canadian Football League's (CFL) Hamilton Tiger-Cats – where the Laval Rouge et Or won a record ninth national title last season with a 31-26 victory over the Calgary Dinos. 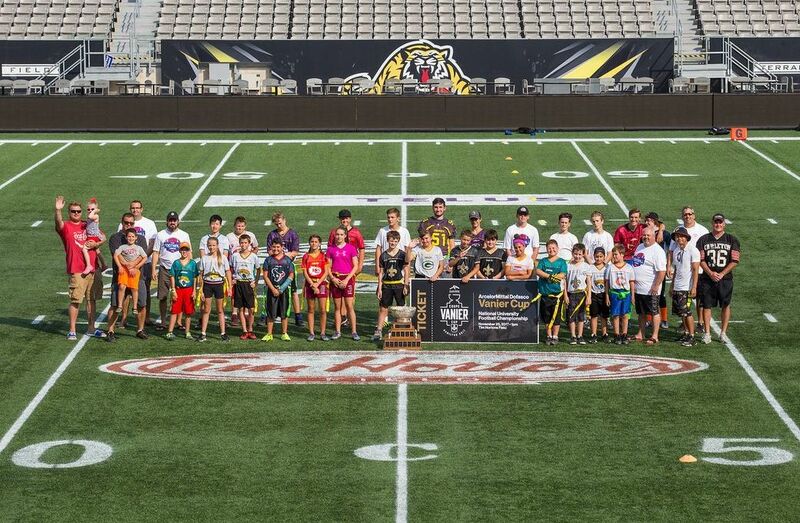 Hamilton's Flag 5 on 5 Football League received the first official tickets to November's championship contest on Tuesday, following their practice at Tim Hortons Field as special guests of U SPORTS. "They're ecstatic," said Hamilton's Flag 5 on 5 Football League coach Kevin Harrison, who played for the Carleton Ravens from 1989 to 1991. "To be able to play on that field and now meet some of the guys that actually played in U SPORTS and to be able to watch the game and be the first to get tickets – they're pretty excited." 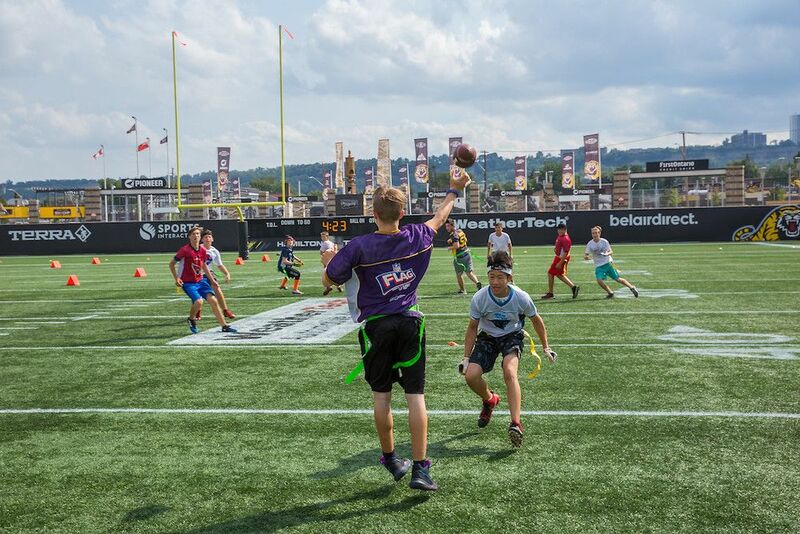 Joining approximately 40 youth football players and their families in attendance at Tuesday's special practices were former McMaster Marauders Mario Ceminara, Phil Scarfone and Russ Jackson. "Hamilton is a hotbed for football," said Ceminara, an outside linebacker with McMaster from 1979 to 1983. "There's probably a couple spots in Canada where football is integral to their city and definitely Hamilton is one of them." "You've got a great venue here," said Scarfone, the ex-Marauders quarterback, who won the Hec Crighton Trophy as the most outstanding player in U SPORTS football in 1984. "I was at the (2016 Vanier Cup) with my son who wants to play university football as well. It was a great game between Calgary and Laval." "Having (the Vanier Cup) again for the second year, I think they're ready to really push it and make it into a spectacular event," added Jackson, the Canadian Football Hall of Famer and six-time CFL east division all-star with the Ottawa Rough Riders, who played behind centre for McMaster in the 1950s. "When the Vanier Cup was (in Hamilton in 2004 and 2005), it was a great event. It had a great crowd, lots of people supporting it and a lot of kids watching those college kids play football. I'm hoping that this year the Vanier Cup in Hamilton lives up to what it should be." The 2017 ArcelorMittal Dofasco Vanier Cup will be held on Nov. 25 at Tim Hortons Field, with kick-off set for 1 p.m. ET. Tickets are on sale now for as low as $25 with an additional 50 per cent off until Sept. 1 by going to vaniercup.com and using the promo code PRESALE. 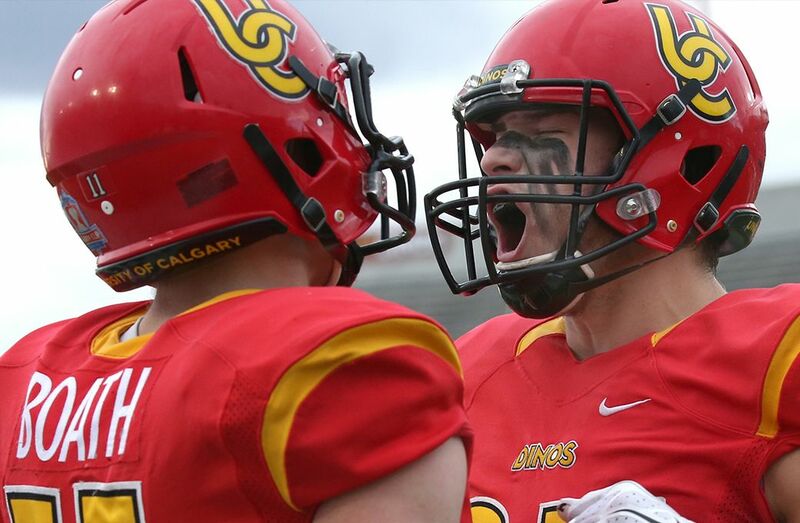 The ArcelorMittal Dofasco Vanier Cup, the championship game for Canadian university football, is one of the country’s most storied sporting events. The first national championship game, then called the Canadian College Bowl, was won by the University of on Nov. 20, 1965. Two years later, a playoff system was instituted by the governing body for Canadian university sport. The title contest became the Vanier Cup in 1982, named in honor of Canada’s first Governor General, Georges Vanier. For more information about the 2017 Canadian university football season and national championship, which begins with this weekend's preseason contests, visit USPORTS.ca and follow U SPORTS social media channels @USPORTSca. For more information about U SPORTS football follow us on Instagram, Twitter and Facebook @USPORTSca.